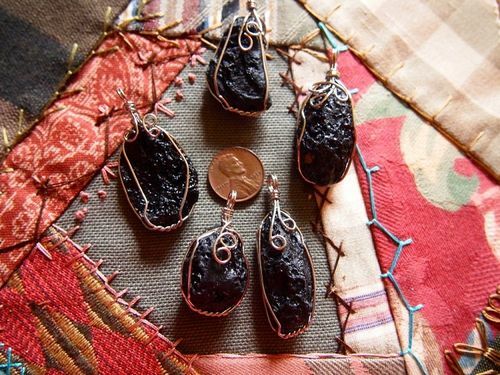 Each of these silver wire wrapped tektite nugget pendants is unique. We have several in stock. Let us choose one for you. 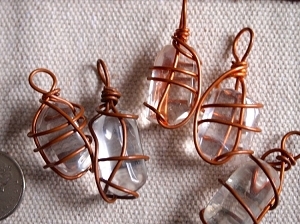 Pendants range in size from 40mm long (with the hanging loop to 50mm long (also including the hanging loop.) Loop hole is approximately 5mm in diameter. 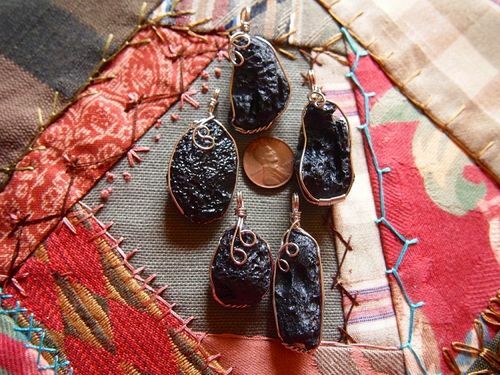 Tektite is a type of natural glass of meteoric origin, that is, they are formed when meteors strike the earth. 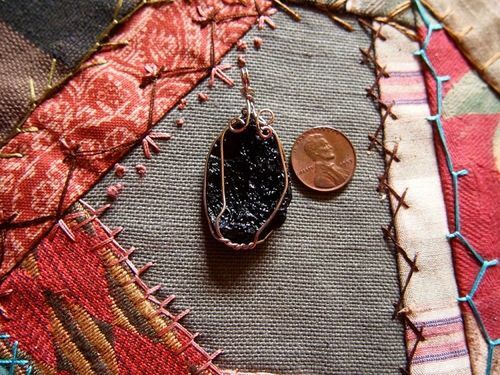 Tektite is black with a pitted surface. 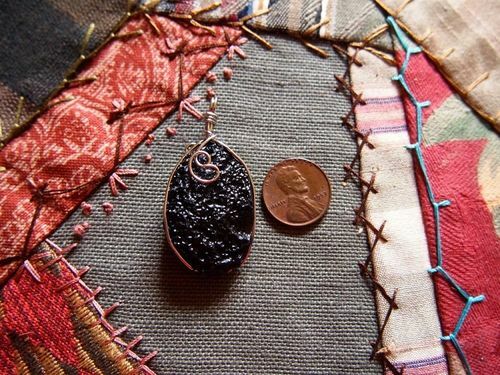 It is believed to assist in acquiring knowledge throughout life's journey.